The home of the charity book series which includes Remembering Elephants, Remembering Rhinos, Remembering Great Apes and now coming in 2019, Remembering Lions (click here to view our recent successful Kickstarter campaign). Our mission is to create the most beautiful books on a species ever made and then, sell those books to raise awareness of the plight facing that species and funds to protect it. 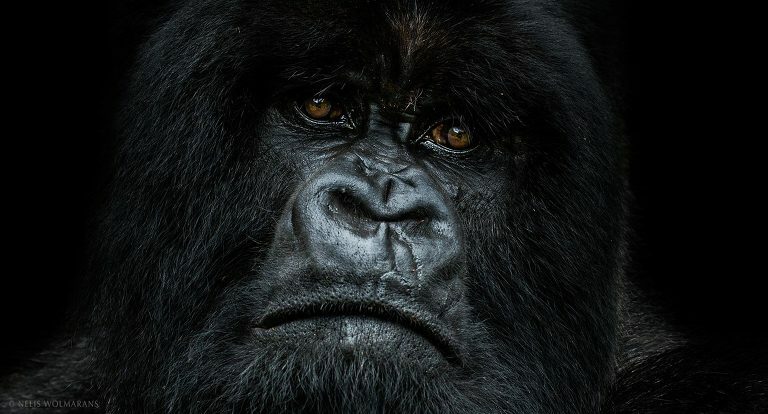 Our work is made possible by the generous donation of images by many of the world’s best wildlife photographers including Steve Winter, Art Wolfe, Frans Lanting, Brent Stirton, Tim Laman and Jonathan & Angela Scott. Enter competition for 10 places in Remembering Lions! On April 1st 2019 we opened a competition for 10 places in the forthcoming book, Remembering Lions. Follow this link to register and there you can read the full terms and conditions and enter your images. Competition entry closes 23.59 GMT on Sunday 28th April 2019. 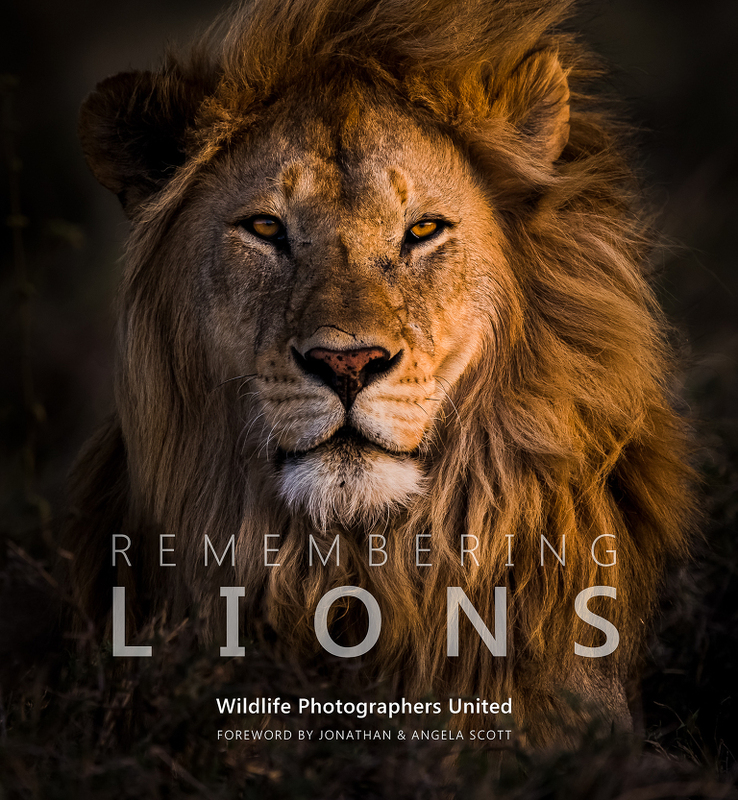 Remembering Wildlife is the collective name for the series of books created by British wildlife photographer Margot Raggett, who was prompted to take action after seeing a poached elephant in Northern Kenya in 2014. She began asking fellow wildlife photographers if they would contribute to a fundraising book. 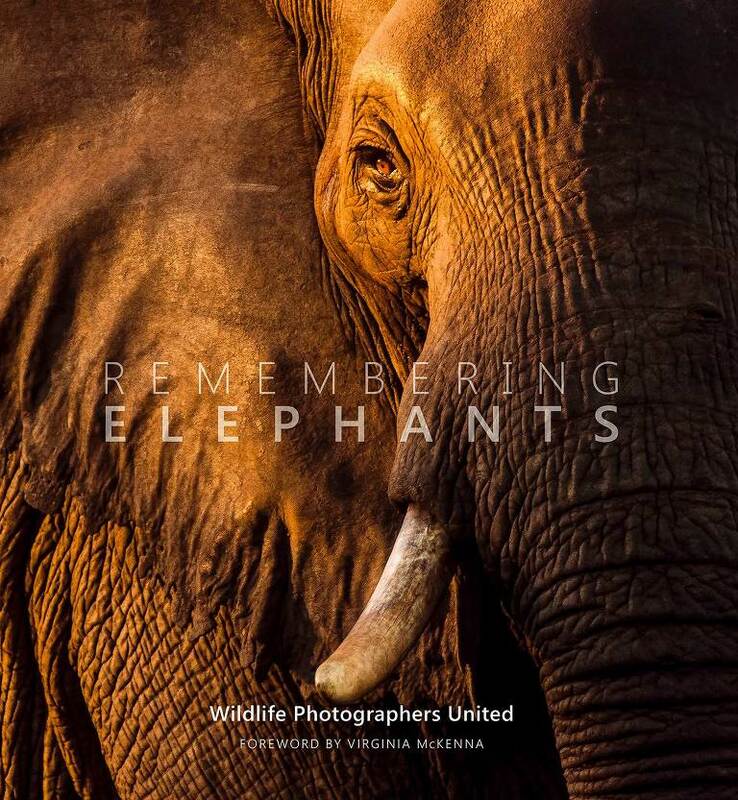 Their response was unanimous and Remembering Elephants, by ‘Wildlife Photographers United’ was published in September 2016 with images donated by 65 of the world’s top wildlife photographers. 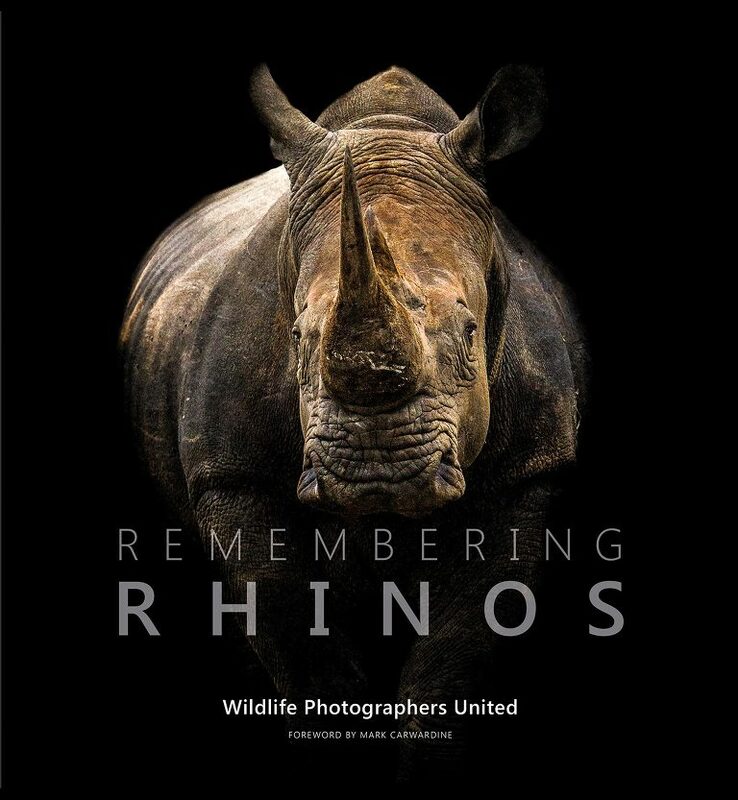 Such was the success that Remembering Rhinos was quickly announced and launched in 2017, once again to critical acclaim. 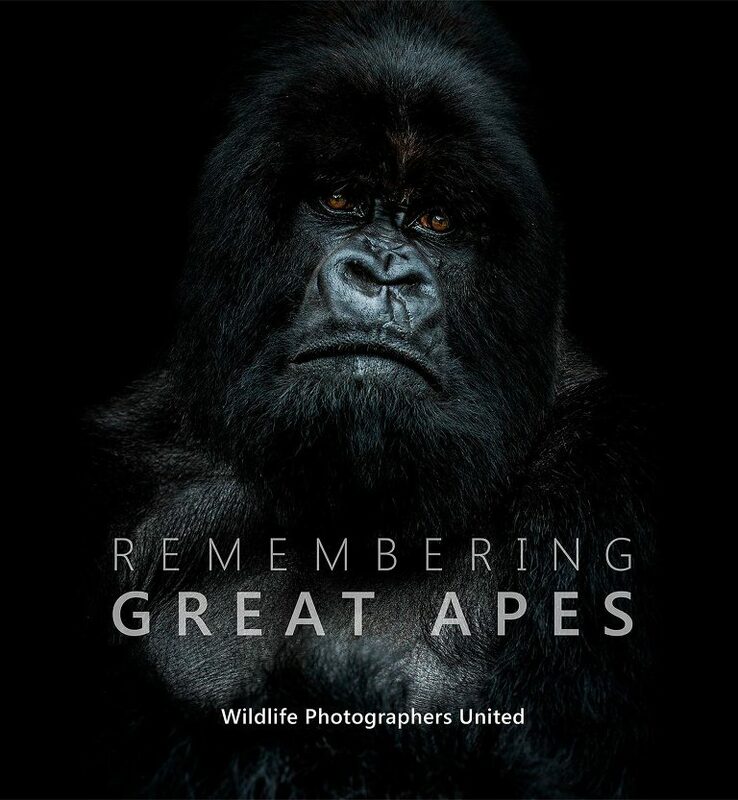 Remembering Great Apes, the third book in the series, was published on 15th October 2018 featuring images donated by 72 photographers and is on track to raise more funds than ever. On January 1st 2019, we announced that the next book in the series will be Remembering Lions. All three books so far were prefunded by successful Kickstarter campaigns, meaning that all profits can be given straight to projects protecting the species that the book is focused on. So far across the first three books we've distributed (or are in the process of distributing) £460,000 to conservation projects via charity partner for those books, The Born Free Foundation and we have supported projects in Kenya, Mali, Malawi, Ethiopia, Zimbabwe, South Africa, Botswana, Chad, Rwanda, Tanzania, India, Java, Sumatra and Kenya. Funds raised from the sale of Remembering Great Apes are being distributed to great ape (bonobo, chimpanzee, gorilla and orangutan) protection projects across Africa and Asia. Announcements will be made once funds are counted and have been distributed. So far we are close to £130,000 raised by that book, taking our total raised by the series to £460,000. Our Kickstarter campaign for Remembering Lions finished on 24th March 2019. It smashed its funding target in less than 30 minutes and raised more than £82,000/$100,000 in the first 24 hours. Eventually it raised £163,904, making it the third highest-funded photo book ever on Kickstarter. The supporting video can be viewed here. Pre-orders for Remembering Lions (which will be published 14th October 2019) are now open here. Funds raised go directly towards protecting the featured species - £460,000 of Elephants, Rhinos & Apes funds have already or are in the process of being distributed in Kenya, Mali, Malawi, Ethiopia, Zimbabwe, South Africa, India, Sumatra, Botswana, Chad, Rwanda and Java.